Perfect for a nautical themed nursery or bedroom! My decals will give you a hand painted look without the time or mess.The ideal way to decorate! 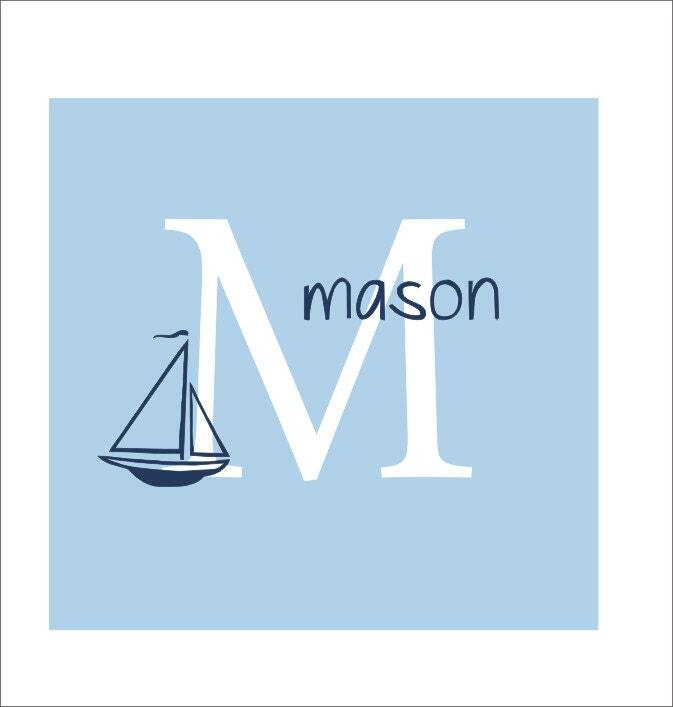 This decal will come in three pieces (initial, name and sailboat) for you to layer as you wish. Total decal size is approx 23"H x 35"W, though final size will depend on the way you apply it. Please Note-The light blue square is not a background, and does not come with purchase. It is only intended to mimic a wall color. 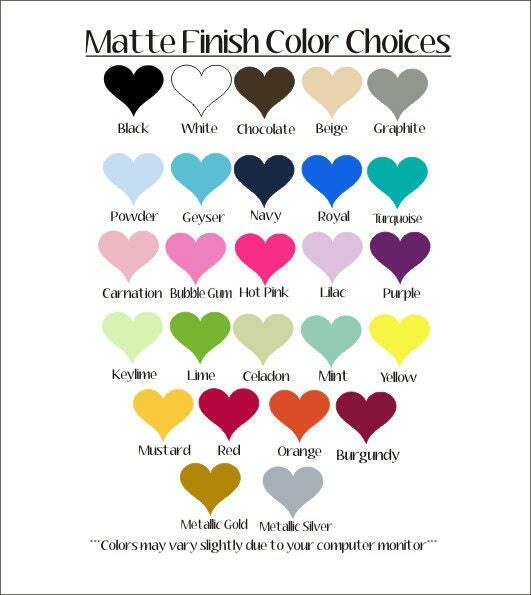 Your background will be whatever your wall color is. See shop policies for additional info. This is the third vinyl that I have purchased for my third boys room. Each one has been excellent quality and customer service. I would highly recommend this shop! She does an absolutely amazing job with her products, and everything is very high quality. Thank you for your design help and for creating a beautiful decal for our son's room!